Get more for your money at the Quality Inn Prismo Beach hotel in Prismo Beach, CA near Pismo Beach Pier. Nearby attractions include Prime Outlets of Pismo Beach, San Luis Obispo Visitor Center, Avila Beach Pier and Harbor Lights Gallery. Enjoy amenities like free breakfast, free WiFi, free weekday newspaper and outdoor heated pool. 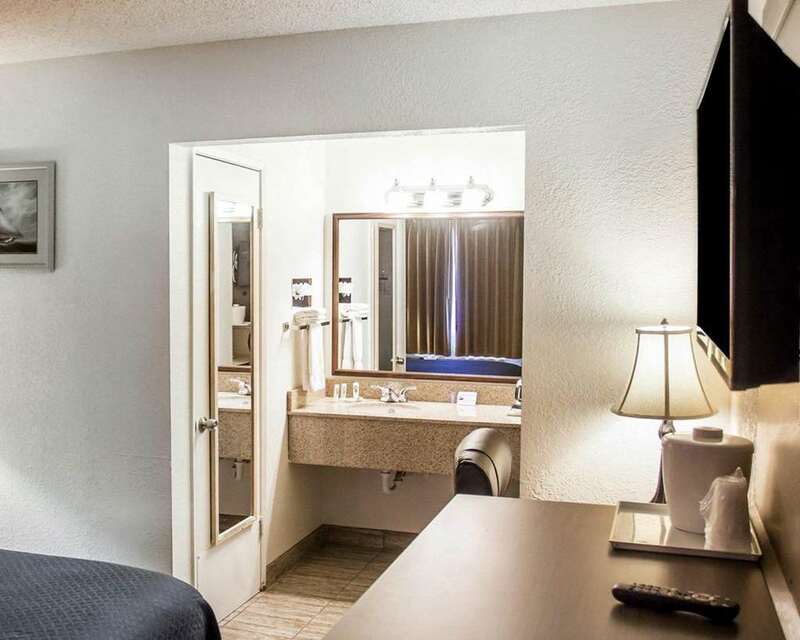 Rooms include a flat-screen TV, microwave, refrigerator, hair dryer, coffee maker and desk. Also, earn rewards including free nights and gift cards with our Choice Privileges Rewards program.